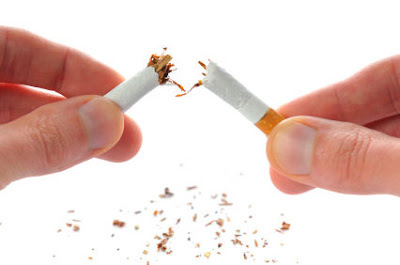 Nicotine Patches and Nicotine Gum have been a popular approach to quit smoking. Studies show that these nicotine replacement therapies (NRTs)are not as effective in helping smokers quit as perceived by the public. Furthermore, they note that even with professional counselling in conjunction with the use of NRTs, smokers still have a hard time quitting. Researchers at Harvard School of Public Health (HSPH) and the University of Massachusetts Boston conducted the study which was printed online of Tobacco Control. "What this study shows is the need for the Food and Drug Administration, which oversees regulation of both medications to help smokers quit and tobacco products, to approve only medications that have been proven to be effective in helping smokers quit in the long-term and to lower nicotine in order to reduce the addictiveness of cigarettes," said co-author Gregory Connolly, director of the Center for Global Tobacco Control at HSPH. The National Institutes of Health defines Nicotine Replacement Therapy (NRT) as a procedure or process involving the use of nicotine supplements or products that provide low doses of nicotine but do not contain the toxins found in smoke. The goal of NRT is to relieve cravings for nicotine and ease the symptoms when someone stops using cigarettes and smokeless tobacco. In the prospective cohort study the researchers, including lead author Hillel Alpert, research scientist at HSPH, and co-author Lois Biener of the University of Massachusetts Boston's Center for Survey Research, followed 787 adult smokers in Massachusetts who had recently quit smoking. The participants were surveyed over three time periods: 2001-2002, 2003-2004, and 2005-2006. Participants were asked whether they had used a nicotine replacement therapy in the form of the nicotine patch (placed on the skin), nicotine gum, nicotine inhaler, or nasal spray to help them quit, and if so, what was the longest period of time they had used the product continuously. They also were asked if they had joined a quit-smoking program or received help from a doctor, counselor, or other professional. "This study shows that using NRT is no more effective in helping people stop smoking cigarettes in the long-term than trying to quit on one's own," Alpert said. He added that even though clinical trials (studies) have found NRT to be effective, the new findings demonstrate the importance of empirical studies regarding effectiveness when used in the general population. Biener said that using public funds to provide NRT to the population at large is of questionable value, particularly when it reduces the amount of money available for smoking interventions shown in previous studies to be effective, such as media campaigns, promotion of no smoking policies, and tobacco price increases.